Stephen Isaac-Wilson's new short spotlights the loneliness of living as a queer person of color. For Kareem Reid, and many other queers, nightlife is the only environment that facilitates safe connections between like-minded people who're otherwise marginalized in everyday society. 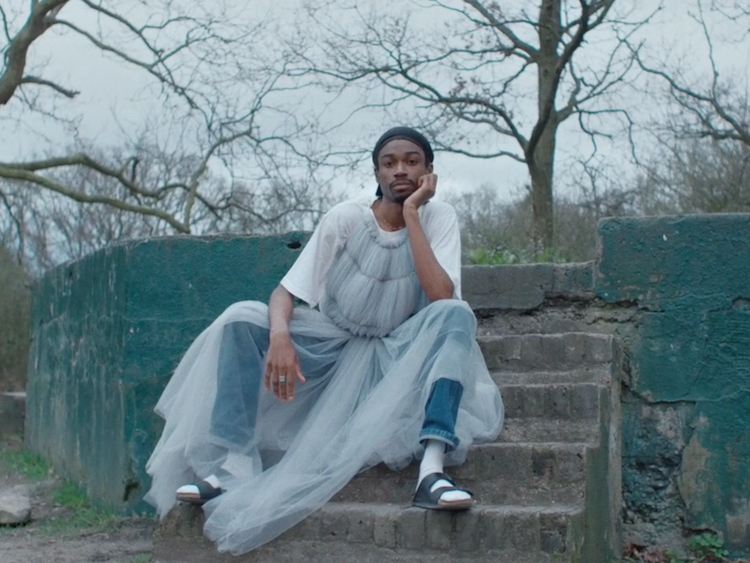 "Nightlife is sometimes the only space where we're allowed, or we feel allowed, to define ourselves," the performer says in South London filmmaker Stephen Isaac-Wilson's new short for the Tate’s Queer British Art 1861-1967 exhibition. But Reid, who started London's queer Black club night Body Party, admits there's an isolating disconnect between nightlife and everyday life, which creates universal loneliness among LGBTQ people, and especially people of color. "I think I'm a challenging person to be around when you have a set idea of what a Black man is or should be," he says, highlighting the challenges of navigating a world where he and his peers are dangerously labeled a "subculture." 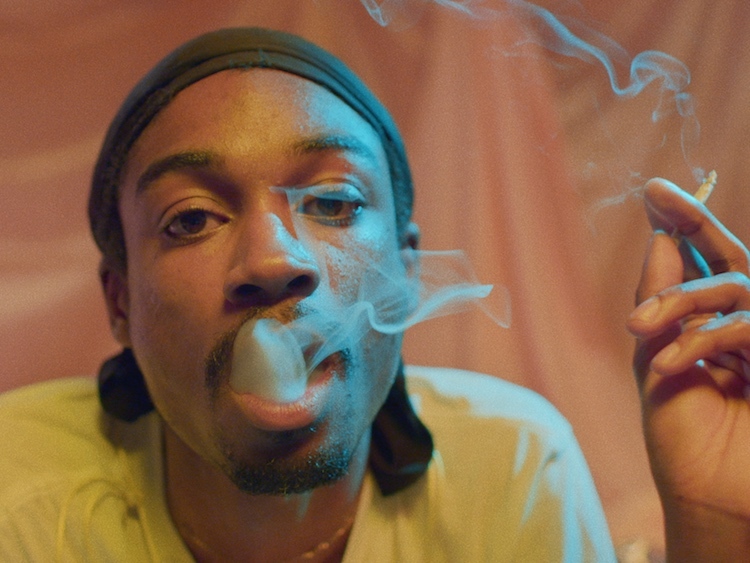 OUT caught up with Isaac-Wilson to discuss how his latest film uses nightlife as a vehicle to discuss the important intersection between queerness and mental health. OUT: Why was it important for you to tell Kareem's story? Stephen Isaac-Wilson: The purpose of the Queer British Art exhibit was to showcase historical pieces that allowed us to imagine and step into the lives and times of the artists who made them. As Kareem and I first became friends through nightlife, I knew he would be someone who would be able to speak in way that would resonate with lots of marginalized young black and brown queer people. It was also important for me to profile someone who was not necessarily well known or famous, as I felt I would be able to direct a more authentic and intimate film by making a close friend the subject. The film tackles issues of queer isolation as a queer individual. Why this angle of the LGBTQ experience? I had been pondering the reasons why queer people were more susceptible to bouts of depression and isolation. I think it's something a lot of people suffer from, but are embarrassed to talk about. I then started thinking about the different types of relationships and connections I had with people in my life. For example, some people I only see at work, others just weekdays evenings, or at family functions, most at some point during the day, and a handful only at night. I observed that, most of the socializing I did with my queer friends was done at night. I wondered whether the habit of connecting with people solely under moonlight made it harder to form platonically intimate relationships thus inducing the feeling of isolation. Beyond the social, do you think politics have an impact on queers? Being a young queer minority is exhausting, especially in such a fraught political climate. If you consider the cuts to healthcare, education, the arts, welfare and polices around immigration and Brexit, it’s easy to understand how young people, who’ve grown up under a Conservative government, can feel isolated. Running parallel to that, I was thinking about how white gay men have advocated for very particular and selective rights on the behalf of the whole queer community. We’re now at a point where achieving basic rights has not equated to universal happiness. I feel as though we live in world where we feel connected to each other and that everyone is singing from the same hymn sheet. Then you realise that outside of your microcosm of society people have very different beliefs, this has of course been reflected in recent political changes. The narrative centers on nightlife, but the film is set during the day. Was this strategic? It was very deliberate to make a film set in daylight. I wanted to do something that was slightly divorced from nightlife, felt drowsy and was filmed in South London. A lot of short films about the intersection between queer and youth culture focus on nightlife and the importance of safe spaces. For me, the topic of trying to navigate the world during the day as a queer person has been far less explored in that medium. Queer nightlife is wonderful and nightlife run for and by queer POC is the most iconic, and has always been. But going out and partying is simply just a small percentage of a young person’s life. I felt that by making a film about being visible during daylight had a more powerful message. How do you hope this short will impact viewers? I want this film to continue the conversation around the intersection of queerness and mental health. I’m a sensitive person and I think the life of an artist is naturally isolating, yet I feel that periods of loneliness can be embraced, and even admired for their beauty. It shouldn’t be something embarrassing or something to be stigmatized. Hopefully this film will allow people to feel comfortable being vulnerable. Some of the bigger issues queer people face can’t really be solved by representation in the arts alone. There have been several moments in history, similar to now, where queer art has been coveted by the masses, yet as a community we have still not achieved universal acceptance. Support for queer people needs to be multi-faceted, and most importantly constant.